What's the most popular size? How many rhinestones will I need? What's the difference between rhinestones and diamantes? What's the difference between Preciosa & Swarovski Rhinestones? How well do Hotfix stones stay on? Can I return rhinestones that I don't use? How can I work out how many rhinestones I'll need? How do I clean my BeJeweller tips? How do I know what rhinestone brand I need? What are the measurements, in millimetres, for the 'ss' numbers? What's better? Hotfix or Non-Hotfix? What's the difference between beads, rhinestones and pendants? Is a Bicone the same thing as a Rondelle? How do I clean my Swarovski Elements? How do I clean my Swarovski Pearls? How should I care for jewellery I've made? What is the difference between Sterling Silver and Silver-Plated, etc? There's a lot of confusion around full lead crystal, Strass, Spectra and Advanced Crystal (which is lead-free). Please explain! Do you have a shop? Can I pick-up? How long does it take for you to send? Do you bring in 'one off' orders on request? Do you do 'Wholesale' and what are your discounts? You're not in my city/town! Do you have an agent? How does your Search bar work? Swarovski "Create Your Style - Beginners Guide"
Check out these questions and answers about rhinestones, and if you have any further questions please don't hesitate to contact us. Let's start by helping you understand what that 'ss' actually means...simply, stone size. And when we are talking pointback rhinestones, the 'pp' refers simply to the term 'pearl plate'. We used to say that ss20 (approx 5mm) and ss30 (approx 6mm) were the most popular size due to these sizes being used most predominantly for costumes, stage and clothing. However, we've noticed an increased trend in this area of the use of smaller stones such as ss10 and ss12 in combination with much larger stones, such as ss34, ss40 and even up to ss48, to give a more textured and varied look, rather than a 'one stone size fits all' look. For craft, especially for use with hotfix tools, the trend is for smaller stones, such as ss10's. The diversity of use of rhinestones now dictates that a much larger range of sizes be available, so we stock from an ss5 through to an ss48, and even larger stones suitable for sewing-on. Use this printable rhinestone size chart which shows real-to-life sizes and keep in mind that not all articles are produced or stocked in all sizes on the chart, so referring to the website listings is always important. If you do have any further questions about what rhinestone size is best for you, please don't hesitate to contact us. 100 x ss20 rhinestones put side by side in one long line will measure approximately 50cm long by 5mm wide, or side by side in a double line ('two row') will measure 25cm x 1cm. 200 x ss20's will cover an area of 50cm long by 1cm wide. To make a 50cm strap/belt/line which is 5cm wide, you'd need 1000 stones. Doing a square? To slather a 10cm square in ss20 rhinestones you'll need 400. So, 1440 (10 gross) x ss20 will totally cover an area of 10cm x 36cm. So, 2880 (20 gross) x ss20 will totally cover an area of 20cm x 36cm. So, 4320 (30 gross) x ss20 will totally cover an area of 30cm x 36cm, and that's about close to an entire front bodice area. If you're looking at using ss30's, here's another guide. A single line of 100 ss30's will give you coverage of 64cm x 6.4mm. 200 ss30's as a double line (or 'two row'), will make a coverage area of 64cm x 13mm. 300 ss30's as a triple line (or 'three row'), will give you coverage of 64cm x 19.5cm. And a 'four row' (so using 400 stones) of ss30's will give you coverage of 64cm x 26cm. A 10cm square totally covered side to side with stones would take about 225 x ss30's. If in doubt and you think you're buying more than you feel you're likely to use just remember that extras will always be handy for jewellery, fingernails, shoes or repairs. Also, no application method is perfect and you can always expect to shed some stones over time, so having extras on hand is always going to be useful. None at all. Rhinestones, diamantés, dimontes, crystals, christals, stones, gems, diamonds, bling, chatons, chaton roses, strass, flatbacks, swarovskis, swartzkofskis and jets are all names we've heard used to describe rhinestones! The technically correct name for a pointed back stone is 'chaton' and a flatback stone is 'chaton rose'. These days very little. For many years Swarovski stones were far superior to Preciosa’s but as technology improved, the differences became almost indistinguishable and Preciosa’s pricing structure made their brand extremely competitive. It's said that Swarovski tried to counteract this competition by introducing a 12 facetted stone but within months Preciosa had done the same. Then in 2004 Swarovski launched the 14 facet Xilion cut calling it “the new generation of brilliance” and the extra sparkle from 14 facets was undeniable. However, at a distance the extra sparkle of the Xilion cut seemed to override the actual colour flash of the stone so although there was a lot of sparkle, there wasn't as much colour coming through the dazzle. Then Preciosa launched the Viva12 rhinestone. They modified the cut of the original 12 facet stone to enhance the sparkle and optically purified the crystal for extra brilliance. In our opinion the Viva12 stones were by now the most sparkly on the market while also retaining that important colour flash up close as well as at a distance. On all counts we felt that the Preciosa Viva12 stone delivered on sparkle, colour and excellent value for money for such a world-class stone. Recently Swarovski then launched the Article 2058 Xilion Enhanced stone, and Art 2038 stone in the Hotfix range. Both have slightly higher 'tables' (especially in the Art 2058) in the centre top of the stone, making them have the appearance of diamonds more so than ever before. This makes for a very beautiful stone up close, really important if one needs a couture element for occasions such as bridal and red-carpet, or if budget is no constraint. Apart from plain Crystal where Swarovski's Art 2058 Xilion Enhanced and Art 2038 Hotfix are the brightest we've ever seen, there is still little variation from a distance in terms of sparkle and brilliance between the two brands, with Preciosa Viva12 stones just pipping Swarovski at the colour post and for a good price. The Preciosa brand name was first registered in Bohemia in 1915, but the history of glassmaking in Jablonec region has been written since the 14th century. In fact, for centuries, Bohemia, a part of the Czech Republic, has been known for the art of crystal cutting. In 1711 the Fisher brothers brought the secrets of crystal cutting and polishing to North Bohemia. In 1724, the first factory specialising in the manufacturing and export of crystal chandeliers was established in Práchen near Kamenický Šenov. Bohemian chandeliers were ordered for the Royal Courts - Versailles and Fontainebleu palaces of Louis XV, Sultan Osman III of the Ottoman Empire, and Empress Elizabeth of Russia. In 1743 Czech master craftsmen created a chandelier in honour of the coronation of Empress Maria Theresa which still bears her name. By the 1800's, Jablonec nad Nisou had become the world centre of jewellery industry. But the development of jewellery and glass companies, which were established and prospering in North Bohemia throughout this time into the 1900's, was interrupted by World War II. In 1945 the seven main crystal factories and 18 small firms in and around Jablonec nad Nisou merged, forming the Preciosa company. Preciosa was officially established on April 10, 1948. In 1993, the company Lustry Kamenicky Senov Inc., the largest Czech manufacturer of chandeliers and lighting fixtures became a daughter company Preciosa - Chandeliers, Inc. In 1995 the subsidiary company Preciosa Figurky, Ltd. was formed in the Preciosa Group. In 2009, the Jablonex Group divisions 'Glass and Beads' joined in Preciosa Group as the new company Preciosa Ornela Inc., adding a further diverse range of glass products made from glass rods and lampworking, technical and utility glass and all types of glass seed beads and beads. Nowadays, Preciosa Group associates the following companies: Preciosa Inc., Preciosa - Chandeliers Inc., Preciosa Figurines Ltd. and Preciosa Ornela Inc. The company’s headquarters are still in Jablonec nad Nisou. As a company Preciosa support the preservation of the environment , and enforce environmentally safe working conditions and ecologically responsible technologies. Preciosa crystal and glass components are certified according to the European Standard EN 71, the American norm ASTM F 963-07, and the International Standard OEKO-TEX 100. The name Swarovski is the family name of Daniel Swarovski, the founder. Whilst apprenticed to his father (a glass cutter) in a Bohemian glass foundry in 1892, Daniel created a prototype cutting machine and moved to patent the invention. With the help of financial backers he formed his own company, Daniel Swarovski & Co, which was established in Wattens, a town located in the Austrian Alps where there were extensive sources of wood to fuel the furnaces of the foundry and easy and inexpensive access to hydro-electric power. Before the end of 1895, the new Swarovski Company had produced its first line of crystal glass products. Initially there were a few production problems but by the early 1900's after refinements in production and technique, the company's line of crystal glass items expanded to include crystal jewellery. In1956, Daniel's grandson in collaboration with Christian Dior developed a metallic rainbow-like coating they called Aurora Borealis (AB) and in 1976 the first of their ‘Silver Crystal' figurines (a mouse) was created. They continue to innovate as world leaders in crystal production, with shapes, colours, coatings and effects in the broadest array. Taking crystal production from it's initial uses, Swarovski have added numerous applications to the base product. Nowadays you can expect not only to see crystals on chandelier trimmings and traditional jewellery; now you can knit with crystal yarn, have crystallized wallpaper, add crystals to all manner of textile applications, and embellish almost anything and everything with crystal. Today, Swarovski is still a family business, their crystal range includes jewellery stones and beads, many crystal ‘fabrics' and trimmings, cubic zirconia, ornaments, chandelier parts and handles. They also have several other brands such as reflective surfaces - Swareflex, grinding, cutting and drilling systems - Tyrolit, and optical lenses - Optik. All Swarovski products reflect the values of the company - respect, integrity, and a sense of responsibility toward people and the environment.They are certified according to class II of the OEKO-TEX Certificate 100. The company's headquarters are in Feldmeilen, Switzerland and Swarovski has production locations in Argentina, Austria, Brazil, China, Czech Republic, France, Germany, India, Indonesia, Italy, Jordan, Liechtenstein, Mexico, Switzerland, Thailand, Turkey, UK and the US. That's a good question, as obviously you'd want the stones to stay in place once you've embellished an item. Hotfix rhinestones vary in quality of both appearance and adhesion, and we choose to stock the best two brands there are: 'Swarovski' and 'Preciosa', with our carefully-selected budget-conscious brand 'Arabesque' to meet the needs of clients requiring a quality cheaper option. Hotfix tools vary in quality too, and we choose to stock the Bejeweller as it is simply the best Hotfix applicator tool available on the market. 1. No method is 100% perfect, as these are crystal embellishments applied to varying surfaces that we're talking about! 2. But, out of all the methods you could use to get crystals onto surfaces, Hotfixing is the method used by clothing manufacturers as quality rhinestones withstand washing and drycleaning. 3. BUT in saying that, as they are crystal embellishments, care should be taken when wearing, washing and drycleaning (NB: drycleaning is only suitable for quality hotfix stones! Thus far there is no glue we've found that is suitable for dry-cleaning with use with Non-Hotfix stones) as the crystals don't look their best and their adhesion doesn't perform it's best when they are roughly handled. In terms of adherence to the varying surfaces that people like to adhere crystals to, results can vary. Due to the variety of surfaces, a water drop test is the best way to check if hotfixing will work. If you can drop a drop of water onto the surface and it seeps through, then it is ideal for hotfixing with quality stones. If the water doesn't seep through, but instead sits as a droplet on the surface, hotfixing stones to the surface may still work (and in this case we have found that the Preciosa stones have a better adhesion than the Swarovski), but longevity can vary, so it's good idea to test first. A firm bond between the hotfix glue and the carrier surface can only be achieved if at least part of the heat-activated glue soaks into the carrier surface. We've found that heavily foiled (where the 'foil' is a plastic paillette) fabrics used in dancewear tend to accept the Preciosa stones better than the Swarovski stones. Therefore, as a general rule, if you're trying to hotfix to plastic, metal, rubber, (anything that's not porous), we recommend gluing the stones instead, using E6000 as the preferred glue. As a general rule, if you're hotfixing to fabrics (or anything that is porous), stick to the best brands stones available, and if you have any doubt, then glue the stones on instead, but always go back to pointer #3! If you really want to apply rhinestones to surfaces, your options are to sew them on, hotfix them on, or glue them on, and each method has it's limitations within reason. But, if you're keen to try hotfixing, we stand by our rhinestones as the best available for this purpose, even withstanding all the limitations explained above! Sorry no we don't receive returned goods under such circumstances, so it's best to try and measure the area and divide by the stone size, so as to most accurately order the amount you need. If you have trouble working it out, let us know the measurements and we can give you an idea of how many we think you may need. A ruler or haberdashery tape measure, and a calculator (or a good practical math brain!) are essential tools when trying to work out how many rhinestones you'll need. Measure the line or area you want to rhinestone in millimetres. Then divide that number by the millimetre size of the rhinestones you want to apply. That will tell you how many you'll need to get. If that's daunting, try doing a mock-up of the area (maybe it's a panel on a tutu for example) with paper, and dotting on the paper with a pen where you'd like your rhinestones to go. Then it's a simple matter of counting the dots. In regards to the glue sticking to the tip, this is an unfortunate but not fatal side effect of hotfixing. The hotfix glue does bit by bit get onto the tips you use, and they can become quite messy-looking. They can be cleaned at the time, by wiping with something like a thick cloth or green steelo pad, or when cold can be cleaned with a wire brush. It's important to remember that when the glue has dried it IS supposed to be stuck forever, so the glue is definitely doing it's job! Unfortunately we know, it does make the tool's tips a little messy in the process. But try the methods above, or even filing the glue off if it's a really hard job, as those tips are not easy to find replacements for and are rather expensive to bring in! Swarovski - world-leaders in quality crystals. Best brand if innovation, couture-quality and range of colours, effects and shapes is what you measure your stone requirements by. Excel in up-close visual quality and exquisite perfection. Our favourite for fashion and bridal, and for competition & performance wear if you want to be a cut above the rest. Preciosa - also world-leaders in quality crystals. Best brand for delivering world-class crystal product that can totally take you to the Nationals, Olympics or Worlds, but at a price on average 33% less than Swarovski. Consistently among our best-sellers along with Swarovski. Preciosa delivers on maximum sparkle up-close and at a distance. A favourite in the world of competitive dance and performance. Arabesque - best brand if low-cost, convincing sparkle & consistency are important to you. No cheaper crystal has the same 'fire' as Preciosa or Swarovski, but Arabesque rhinestones do sparkle and do deliver on budget - fine for situations that aren't super-competitive. Acrylic - great for any project where the 'look' is needed, but not the full crystal treatment thanks:) ...but not all acrylic flatbacks are created equal, so we've hand-selected the best and only stock acrylics that don't look like blobs of molded plastic! These are the measurements, in millimetres, for each stone size we carry in the flat back Nail Art, Non-Hotfix and Hotfix ranges. The tolerance refers to the acceptable variance in size once an item is manufactured. 1. Hotfix can be tidier if anyone finds that mastering a tidy adhesion with glue is difficult. 3. Hotfixing can be more expensive if you plan on using Swarovski, as the Swarovski Hotfix stones are most expensive than Swarovski non-hotfix stones. If you plan to use the Hotfix Arabesque stones though - it's a cheap and clean way, but the sizes and colours are limited and you don't get that 'special' look of the Swarovski and Preciosa. When deciding between hotfix vs non-hotfix you also need to weigh up the cost of the Hotfix Applicator against the glue cost. The Applicator has a long life - the glues get used up of course and need to be replaced. 4. And finally there's the time factor - hotfixing individual stones is more time-consuming than dabbing several spots of glue in one go on your fabric, and then stoning as you go. We find that it's a ratio of about 8 stones gluing vs 1 stone hotfixing. Swarovski puts great effort in the protection of their brand. In order to support you in using and communicating their brand correctly, they provide practical guidance on the proper use of the Swarovski trademark. These guidelines are for all customers and consumers (without a branding contract) worldwide, who buy Swarovski branded crystals either directly from Swarovski or via their international distribution network (eg: Rhinestonz & Beads, www.rhinestonz.co.nz). Preciosa® from The Czech Republic; known and loved by solo dancers and performers alike for their moderate prices, excellent sparkle and world-class quality design. Swarovski® from Austria; an elite and iconic brand for good reason, but you may be surprised how affordable they are here at www.rhinestonz.co.nz. Arabesque from China; an extremely affordable crystal stone range with a massive following, often ordered in bulk teams and troupes. DANZA Jewels from China; a superb fine-cut resin range of sew-on jewels that have the whole 'look' thing down pat, without the weight or the cost. And our vibrant and fun Jewel Acrylics from China for something a little different and in colours that crystal stone brands can't always produce well. Check out these questions and answers about beads, pendants and pearls, and if you have any further questions please don't hesitate to contact us. Beads have pre-drilled holes through them that allow for either stringing or sewing. Rhinestones may also have holes in them but also may not, depending on the style of stone. They do however usually have a flat base or a pointed back base, so are (in the main) used for textile and set jewellery applications. Pendants also have a hole in them, pre-drilled, and usually in a place where by hanging the pendant you can create a 'drop'. Swarovski do not officially call their bi-conal shaped bead anything other than the "XILION Bead". The market has taken to refer to it as the 'bicone', as this aptly describes what is essentially the shape of two cones stuck together. Preciosa however, refer to their bi-conal shaped bead as the 'Rondell' which is a language derivation of 'rondelle'; a small circular object, often jewelled. In the beading world there is also the 'rondelle' specifically, which is the metal ring, set with crystals. Occasional polishing with a soft lint-free cloth will help you to retain the original sheen of your Swarovski Elements. If your crystals are soiled, they should be cleaned by hand in lukewarm water with a few drops of mild dish detergent or soap with a ph neutral base. Rinse under running water and afterwards dry them with a soft, lint-free cloth to avoid spotting and lint spoiling the shine. Always dry your jewellery immediately after cleaning and store it in a dry, cool place until ready to wear to avoid tarnishing. Under no circumstances should any abrasive or corrosive detergents be used; glass and window-cleaning fluids and chlorine should also be avoided, as they often cause streaking. Crystal Pearls should only cleaned with a soft damp cloth or mild soap, after which you should let the pearls dry immediately. Never clean the pearls with solvents like acetone (in nail polish remover) or alcohol (in perfumes, etc). Crystal Pearls should also not be cleaned with a jewellery cleaner or in a jewellery-cleaning machine as the harsh cleanser can wear away the pearl coating. Silver findings and jewellery that is prone to tarnish is best stored in an airtight container. Any moisture will cause the tarnishing process to begin. A zip-lock bag with a slip of anti-tarnish paper inside it is highly recommended. There is a storage trend for hanging necklaces, but this can result in permanent kinks and bends, so we recommend you lay all jewellery flat where possible. Always remove your jewellery before washing hands, swimming or applying body care products. Jewellery should also be taken off before carrying out any sports activities or doing household chores. Remember to reserve your jewellery as a finishing touch, after applying body care products like perfume, beauty cream, make up or hair spray. Try to protect all jewellery from sharp blows, tugs and catching on garments or collars. Also avoid contact with harsh chemicals found in household cleaning materials. Chlorine and related chemicals can severely discolour and damage jewellery as well as loosen stones and settings. Ensure your jewellery does not come into prolonged contact with matches, rubber bands or any materials that contain sulphur, as well as abrasive soaps, chemicals, perfumes, hair sprays and/or dyes. Fine silver, for example 99.9% pure silver, is generally too soft for producing functional objects; therefore, the silver is usually alloyed with copper to give it strength while preserving the appearance of the precious metal. Where physically possible, sterling silver findings are stamped ".925". Gold-filled is made from solid "Gold" and "filled" with other alloys. Gold-filled wears like solid Gold because its outer surface is solid Gold. Electroplating is NOT a part of this process. Gold-filled is created by using heat and pressure to fuse a layer of Karat Gold to copper, brass, or some other base metal. The bond produced is a permanent one. Rose Gold is a gold and copper alloy composed of 75% gold and 21% Copper bonded with heat and pressure to a base metal. Silver-plate is the term used to describe any product that is made of metal and that has been plated with a layer of silver. The actual material is usually some other base metal and the plating material used is silver. The silver used to plate the metal is usually sterling silver and it is plated by a process of electroplating. Depending on the quality of the product the thickness of the silver coating may differ from product to product. Silver-plating will wear off over time, but sterling silver, although it may tarnish over time (and this can be cleaned and brightened again) will last forever. Gold-plating is created using an electro-chemical process that places a layer of Gold on copper, brass, or some other base metal. The thickness of the Gold used in plating usually determines the price of the piece. 'Rhodium, Anti-nickel allergenic' is a term used by Swarovski for their rhodium plated articles, such as their Chaton Head-Pins and claw-set pendants and stones. Surgical steel must contain nickel. In fact, stainless steel can't be classed as a surgical grade without it. 'Surgical' steel is actually more of a trade name for stainless steel of particular grades (also known as 'marine grade' steel). Stainless steel is designed for strength and durability, and is especially suited to outdoor situations as it is the most resistant to corrosion. Nickel is a key element present in the alloy which helps provide this feature. Most stainless steel contains between 8% - 12% nickel (the higher the grade, on average the higher the nickel content). Technically, stainless steel can qualify as hypoallergenic (meaning: low risk of causing an allergic reaction), as although nickel is one of the most common causes of allergic reactions from jewellery, it is bonded to other elements in the alloy and generally won't leech on to the skin, however many people have a skin reaction to nickel, so although technically stainless steel is hypo-allergenic, for extra sensitive skins sometimes it may not be. Full lead crystal is minimum 30% lead content. In 2012, Swarovski® patented a new, innovative lead-free crystal composition, called ADVANCED CRYSTAL. All their products, (apart from Spectra) are made of Advanced Crystal now, and are all lead-free. Advanced Crystal, which is entirely lead-free, is made of carefully selected raw materials in outstanding purity, in order to reach its excellent quality standard. Advanced Crystal fulfils all optical and visual criteria of full lead crystal and fulfils the highest class “Ultra Clear” according to the standard ISO IWA08. It is a perfect and sustainable alternative to full lead crystal. So is Swarovski still classified as crystal, or is it just glass? The new ADVANCED CRYSTAL falls in the category 3 “crystal glass” according to the European Directive 69/493/EEC (Crystal Directive). 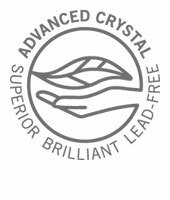 ADVANCED CRYSTAL provides the same visual and optical characteristics as full lead crystal. There is no optical or visual difference. Brilliance, light dispersion etc. are not solely defined through the crystal composition but also determined by precision cutting, polishing and purity of raw materials – all areas in which Swarovski takes a leading position. Is there any noticeable difference when comparing the different crystal compositions of full lead crystal and Advanced Crystal? None visually. The only noticeable difference is in the weight of the products as the new composition results in a 15- 20 % less heavy product. The hardness has gradually increased with the new ADVANCED CRYSTAL standard. Does the Swarovski brand 'STRASS®' still exist therefore? Yes, but let's make an important distinction as well. Firstly, STRASS® SWAROVSKI CRYSTAL is the brand of Swarovski's first line Lighting Collection (designed for use in lighting and chandeliers, and also used for suncatchers and even jewellery). ADVANCED CRYSTAL is now the material composition of Strass. But Swarovski also have many other 'sub-brands' for want of a better word: Spectra (also for Lighting), CrystalPixie® for Nail Art, and their Create Your Style range and Crystals by Swarovski range of loose components for fashion, jewellery, dance, craft. So how do I know if it's Strass? Each individual STRASS® crystal carries the trapezoid-shaped STRASS® Signature, which is indelibly engraved in the crystal (only in genuine Strass clear crystals sized 12 mm and above, and only in genuine Strass coloured crystals sized 18 mm and above). There is no STRASS® Signature with the colors Bordeaux, Jet and Emerald and also no STRASS® Signature is on the later release Bordeaux Blue - Limited Edition. And what about these other lines Swarovski produce, how can I tell if they're genuine?! As explained above, SPECTRA® CRYSTAL is one of Swarovski's brands. It features a basic assortment of traditional shapes, has a different crystal composition from Strass and the other Swarovski crystal brands which are all made with Advanced Crystal since 2012, and is only available in crystal (i.e. no contemporary shapes, no colors/effects). Spectra is made with less strict quality criteria for ingredients in comparison to Advanced Crystal, and using cost saving, but still responsible, production processes. This results in excellent value for money, but also a clear differentiation from the first line SWAROVSKI with its Advanced Crystal Standard. Check out these questions and answers about us and our customer service, and if you have any further questions please don't hesitate to contact us. We don't have retail premises, but you can pick up from us here at our premises in New Plymouth. Contact us to arrange a pick-up time. Place your order before 2pm (Mondays to Fridays) and our target is to dispatch it the same day. For NZ orders, Courier Post's target time-frame for delivery is 9am next working day (Monday to Friday) for business addresses and 5pm next working day (Monday to Friday) for residential addresses (but it's often sooner in the day). Deliveries to rural delivery addresses may take 2-3 days more. 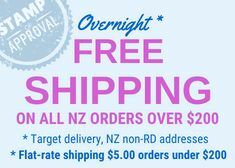 Please see our International Delivery section for International target delivery times. Yes, we have a few clients who request specific products in very large quantities, or specific products that we don't usually stock, for whom we bring in special orders and pass on to them at wholesale level. Depending on the item, the minimum can be as low as one factory packing unit. We are always happy to quote and research for you, presenting you with an emailed reply about availability, costs, and time-frames. Please don't hesitate to contact us. We are a retailer who sells online. However, due to our buying power we can offer extremely competitive retail prices, as well as wholesale level pricing for bulk buying. 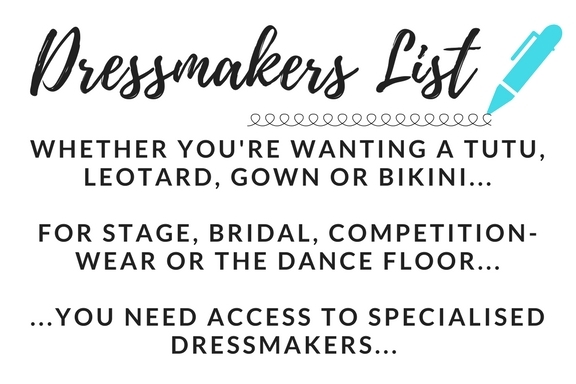 If you make a one-off order with us, for any non-stocked items made by any of our suppliers (minimums apply - usually one factory packet but sometimes more) we can give you extremely competitive wholesale level pricing. And we offer 'The 1000 Club' for Swarovski Bicone and Pearls users who churn through the product but never would need a factory packet of just one colour. A typical order would be 1000 bicones (made up of 10 colours of your choice, 100 pcs per colour). Prices are similar to factory packet prices. Contact us to see if The 1000 Club is for you. Either our 'Key Client Order' discounts which are offered on a case by case basis. Can potentially be offered for one-off orders with a value of NZD$1000 and over. By arrangement. We require orders to be discussed prior to confirmation. Or, our 'B2B Manufacturers' Pricing', which are the lowest prices we can possibly offer. Yes, sorry about that, we might not be! No we don't have an agent. But, yes we are very adept at working around that in this day and age with all the communication gadgets at our disposal. The majority of the world's population shop for their rhinestones online as very few 'bricks and mortar' retailers have rhinestones, and most rhinestone retailers are online! Here's what we can do...we can - talk, text, snapchat, send line drawings and charts through the post, email you attachments of catalogue pages, you can buy sample charts and get them overnight, we send other samples in the right circumstances, we can take mobile phone photos and send them to your smartphone, post images on facebook, pinterest and instagram, use facebook messenger, you can send us samples to match, we can hold a Skype session or a Zoom session with you and physically talk and show while we're together.... so many ways to get over the fact we are not exactly where you are. Our Search bar is set up to look for the exact wording from what you typed into the search field. If it matches the exact wording of our product's title your search results will show that. If it matches even a partial part of the exact wording of our product's title your search results will show that. However, if you type a string of words, two or more, that are not exactly as they would appear in our product's title your search results will show '0 results'. For example, searching 'Bicones' or 'ss10's' you will be unlikely to find any results come up. This is because in their title we have the wording 'bicone' (not plural), or 'ss10' (again, not plural). Capital letters and lower-case letters don't make a difference. Also, if you are looking for 'Golden Shadow Bicone' our search bar won't find them with that search. Instead, try either the full title we have them listed as, ('Swarovski Bicone Art 5328 Crystal Golden Shadow 4mm'), or a portion of that phrase, eg: 'Golden Shadow'. Or even, 'Golden'. Check out these resources about rhinestones, and if you have any further questions please don't hesitate to contact us. This Swarovski Elements Colour Chart applies to Swarovski's round (pointback) stones, sew-on stones, fancy stones and buttons standard production ranges. The standard assortment of colours and effects may vary per product group. Slight changes in shades from batch to batch of one product or between different products are unavoidable. Colours may also vary according to cut and shape. Please note that all browsers display colour differently and as such this is chart offers an indication only. Nothing substitutes seeing the real thing, for which samples are available as well as small retail packs of per 10 or per each depending on the item required. This Swarovski Elements Colour Chart applies to Swarovski's hotfix flatbacks standard production range. The standard assortment of colours and effects may vary per product group. Slight changes in shades from batch to batch of one product or between different products are unavoidable. Colours may also vary according to cut and shape. These Swarovski Colour Charts apply to Swarovski's Non-Hotfix flatback range. The standard assortment of colours and effects may vary per product group. Slight changes in shades from batch to batch of one product or between different products are unavoidable. Colours may also vary according to cut and shape. Pantone, Inc. is the market leader and authority on colour and communication of colour predictions and forecasts to the design world. Every season they assess and monitor trends, from economic, social and political trends, to design and innovation trends, and interpret these in colour predictions. Fascinating to follow and fun to observe, we encourage you to enjoy the world of colour as seen through the eyes of Pantone, and interpreted in hues from the beautiful Swarovski Elements range. This section applies to Preciosa's Non-Hotfix, Sew-On and Hotfix flatback stone ranges. This section applies to Preciosa's Pointbacks and Fancy stones ranges. Use this printable rhinestone size chart which shows real-to-life sizes but keep in mind that not all articles are produced or stocked in all sizes on the chart, so referring to the website listings is always important. If you do have any further questions about what rhinestone size is best for you, please don't hesitate to contact us. Check out these resources about beads, pendants and pearls, and if you have any further questions please don't hesitate to contact us. These Swarovski Colour Charts apply to Swarovski's Pearl range. You can find our entire stocked range in our Crystal Pearls section. Please note that all browsers display colour differently and as such this is chart offers an indication only. Nothing substitutes seeing the real thing, and for this reason we sell all our pearls in either 'per each' or small per 10 pack units which will enable to to select colours confidently. Please see our range at Crystal Pearls. This Swarovski Elements Colour Chart applies to Swarovski's beads and pendants standard production range. The standard assortment of colours and effects may vary per product group. Slight changes in shades from batch to batch of one product or between different products are unavoidable. Colours may also vary according to cut and shape. You will find all our Ordering information in links at the bottom of our website. Here are some quick links to take you directly to those sections. You will find all our Delivery information in links at the bottom of our website. Here are some quick links to take you directly to those sections.